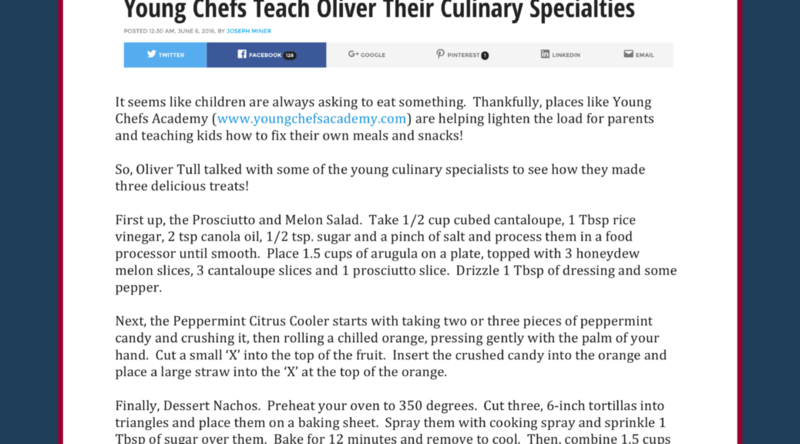 All Points PR secured a TV segment on Eye Opener for client Young Chefs Academy. Several Young Chefs went on air to showcase a few easy recipes for kids to make. The segment was broadcast across Dallas, Houston, Miami, Philadelphia and Portland, and ran live on air.